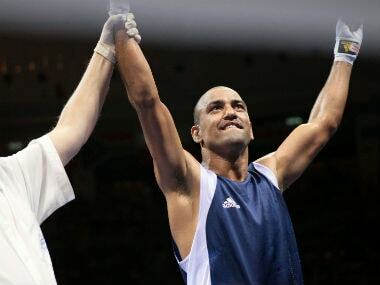 The towering presence of Sushil Kumar and Narsingh Yadav in his weight category meant despite his impressive frame of over six feet, Jitender Kumar was always overshadowed. 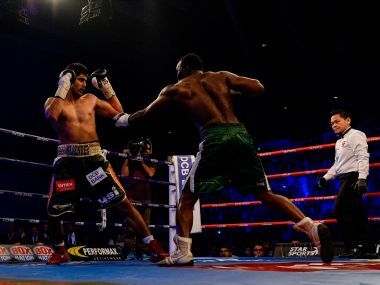 Akhil Kumar kept his unbeaten professional record intact, scoring a Technical Knockout over Tanzanian Sadiki Momba in his second bout on Saturday. 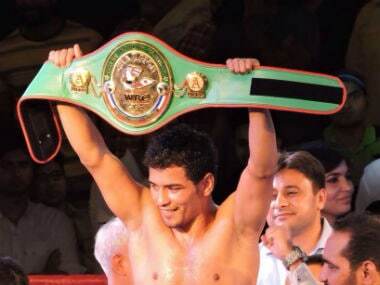 WBC Asia Pacific welterweight champion Neeraj Goyat will join Vijender Singh in putting his title on the line during the 'Battleground Asia' fight night where Olympians Akhil Kumar and Jitender Kumar will make their professional debuts on 5 August. 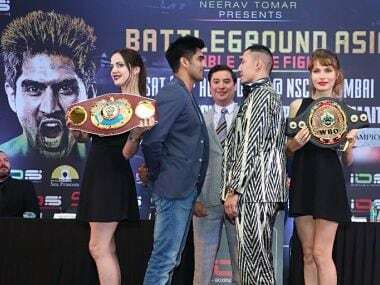 The online ticket sales of Indian boxing star Vijender Singh's showdown with Chinese Zulpikar Maimaitiali in a double title fight in August started on Sunday. 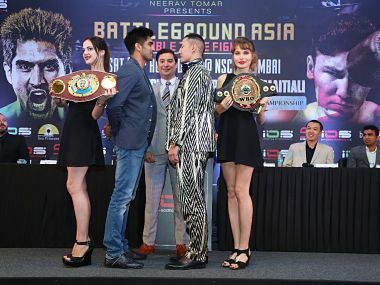 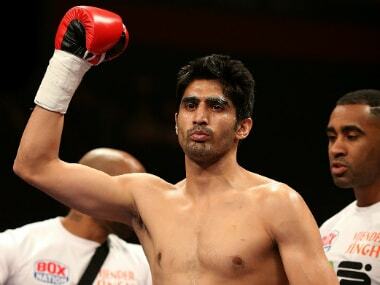 Indian boxing star Vijender Singh's next bout scheduled on 1 April has been postponed as his promoters are struggling to find an opponent for him. 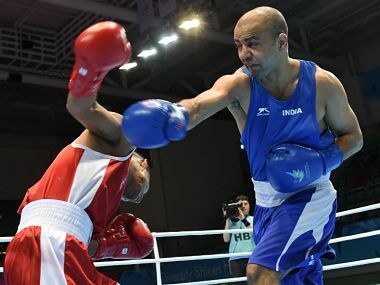 Akhil Kumar and Jitender Kumar's wait has finally ended with their employers, Haryana Police, granting them permission to turn professional. 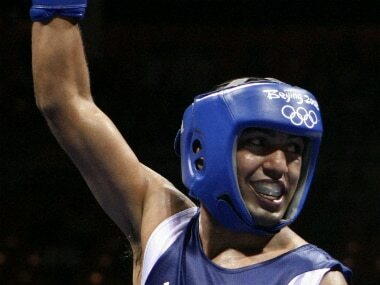 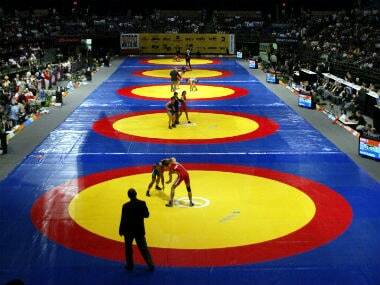 Both Akhil and Jitender are serving DSPs in the Haryana Police and had been awaiting permission to turn professional.